What would happen if the next all hands meeting got cancelled and instead the organization had an all hands-on read instead? What others thought about "A Beautiful Constraint"
An inspiring yet practical guide for transforming limitations into opportunities A Beautiful Constraint: How to Transform Your Limitations Into Advantages And Why It's Everyone's Business Now is a book about everyday, practical inventiveness, designed for the constrained times in which we live. It describes how to take the kinds of issues that all of us face today--lack of time, money, resources, attention, know-how--and see in them the opportunity for transformation of oneself and one's organization's fortunes. The ideas in the book are based on the authors' extensive work as business consultants, and are brought to life in 35 personal interviews from such varied sources as Nike, IKEA, Unilever, the U.S. Navy, Formula One racecar engineers, public school teachers in California, and barley farmers in South Africa. Underpinned by scientific research into the psychology of breakthrough, the book is a practical handbook full of tools and tips for how to make more from less. 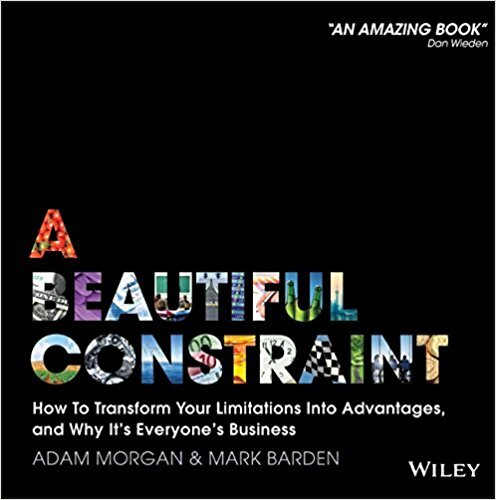 Beautifully designed and accessible, A Beautiful Constraint will appeal beyond its core business audience to anyone who needs to find the opportunity in constraint. Examine how we've become path dependent--stuck with routines that blind us from seeing opportunity along new paths Ask Propelling Questions to help us break free of those paths and put the most pressing and valuable constraints at the heart of our process Adopt a Can If mentality to answer these questions--focused on "how," not "if" Access the abundance to be found all around us to help transform constraints Activate the high-octane mix of emotions necessary to fuel the tenacity required for success We live in a world of seemingly ever-increasing constraints, driven as much by an overabundance of choices and connections as by a scarcity of time and resources. How we respond to these constraints is one of the most important issues of our time and will be a large determinant of our progress as people, businesses and planet, in the future. A Beautiful Constraint calls for a more widespread capability for constraint-driven problem solving and provides the framework to achieve that.